So cute and fun...zoom zoom. The backing fabric is so perfect, wow! 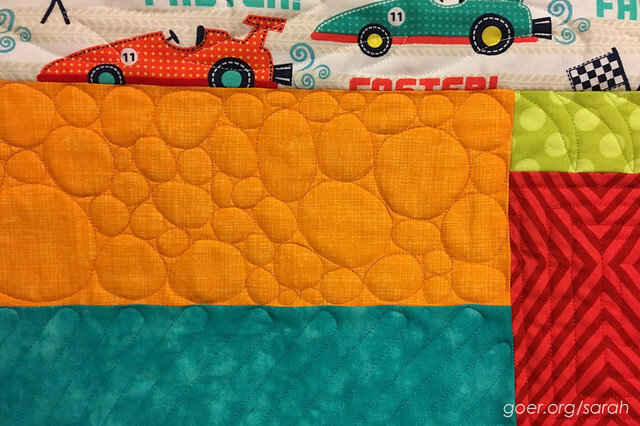 The quilting looks great, and I love how you think of pebbles as river rocks, I really like that visualization. 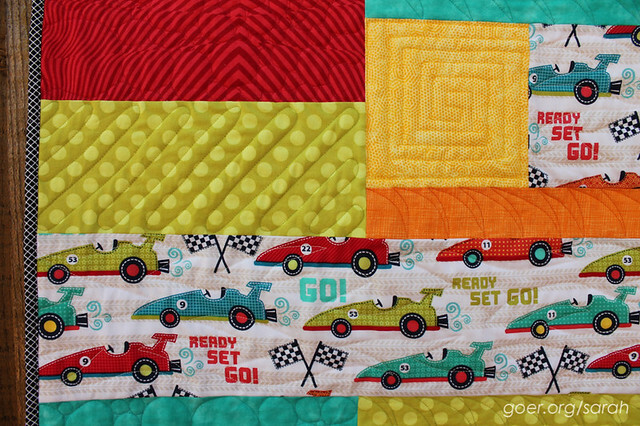 Making for kids is fun because the quilts usually are smaller and go fast (haha), but also feature fun and play that we adults seem to have lost in our lives. I wonder if the stripe and the cars were from the same line. I should have checked the selvage. No idea if it's still around here now. 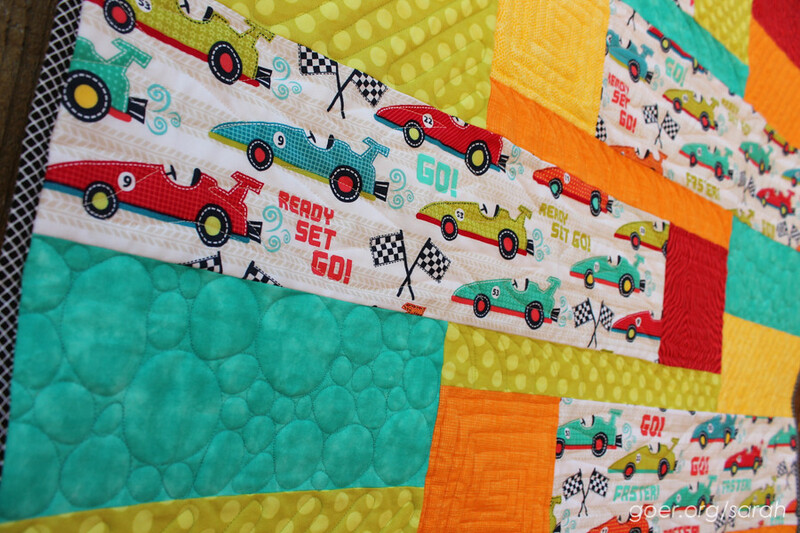 ;-) I definitely love the smaller feature of kid quilts! 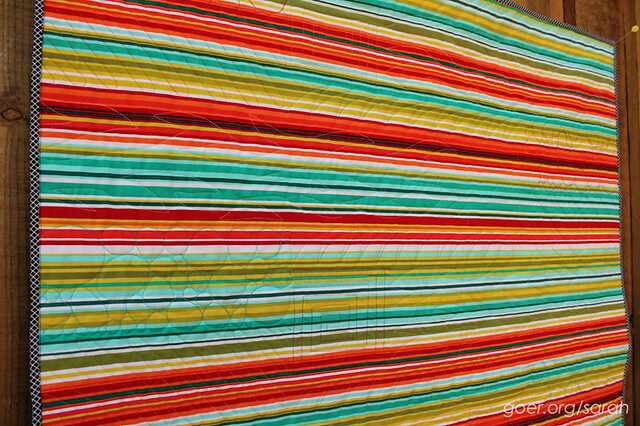 I have some zebra and elephant fabrics that I'm itching to make into a kids quilt. I just need to decide who to make it for. :-) Thanks for visiting, Yvonne! Aww, thanks Marji! It was a lot of fun to make. 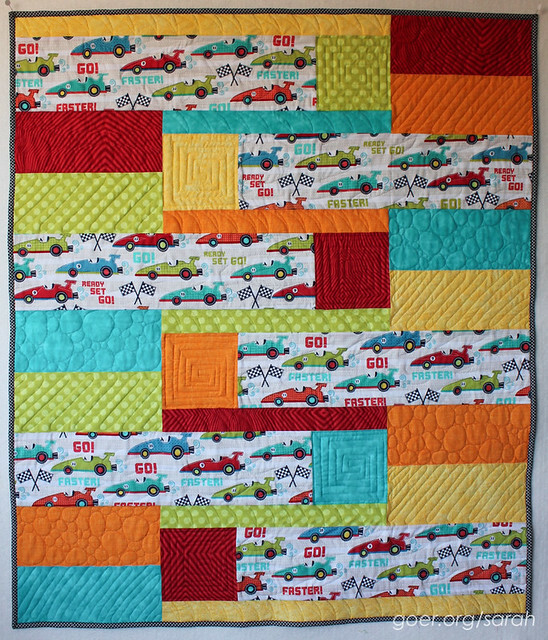 I love all the different quilting. This is adorable. Wonderful selection of quilting motifs, Sarah. The binding is perfect! Thank you, Bernie! I'm looking forward to making this quilt again in another palette. Looks great!! Your son will be thrilled!! What a cute quilt and cozy too! Love your choice of binding! Thank you, Soma! 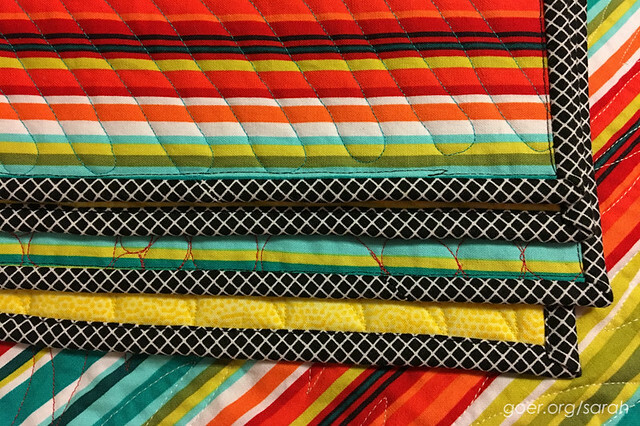 I just posted my latest quilt, another colorful one with a black and white binding. 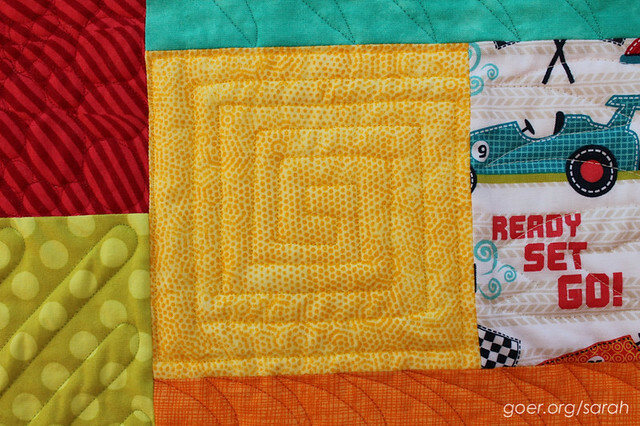 I love all the different quilting motifs! A lovely finished quilt. Thank you for participating in the FAL, on behalf of the 2016 global FAL hosts. Thank you. I really had fun choosing a variety of motifs. Thank you for all your time for the FAL. It really helps me stay motivated! Thank you and congratulations on your new grandson. 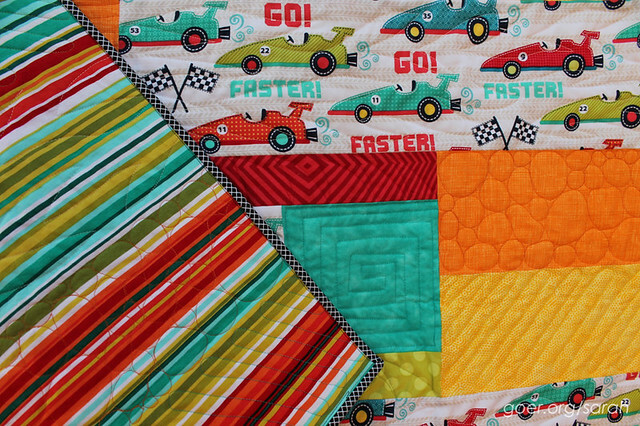 I love how fast a baby quilt can be to make! Enjoy sewing for him!